Crossford is a small village located on the banks of the river Clyde. The A72 road will bring you right to us! Any essentials can be purchased at the village post office and shop a two minute walk down the road. 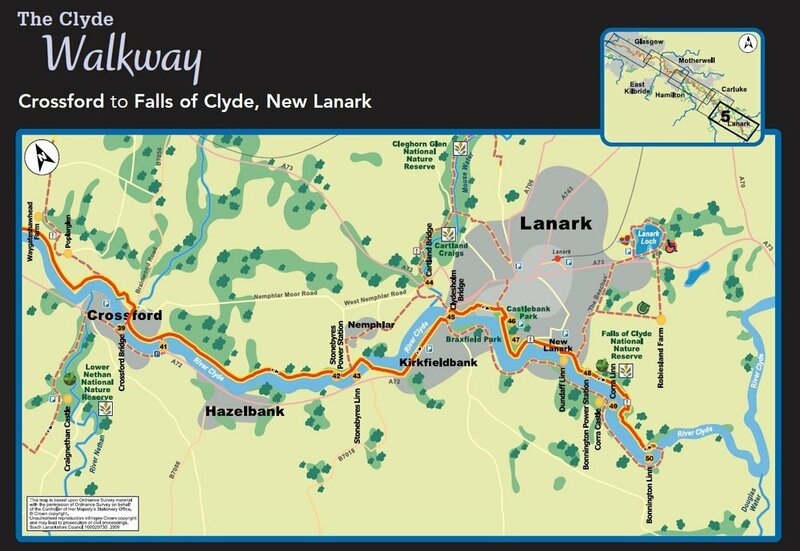 Country walks on the Clyde Walkway where you can walk all the way from Crossford to the Falls of Clyde at New Lanark. This is a World Heritage Village and just 5 miles by car. The new Clyde Valley Family Park https://en-gb.facebook.com/ClydeValleyFP/ opens in Autumn 2018 and is just 5 minutes’ walk from the apartment. The A72 valley road is famous for its Garden Centres which gives you plenty of choice for shopping and grabbing a bite to eat. A couple are easily walkable from the apartment with the furthest just minutes away by car. You can enjoy Golf, Fishing and Horse Riding all within 5 miles of the accommodation. Supermarket shopping, Restaurants and Bars can be found on the way to and in both Carluke & Lanark.